"Young masses, a new revolution is drawing near! The sun you all knew from long ago has disappeared beneath the horizon. As the new year dawns, everything you know, ladies and gentlement, will change. We, for example, were born as far greater beings than the humans, yet… we are bound to their principles. Throw off the bonds of the ancient humans, and join the evolution of the new generation! Yes! We will evolve and progress! For our revolution! Please do not forget the day the era our new evolution began! Yes! Once again, that new age is drawing near! The day of the Reploids! Until that day comes, pray you’re one of the chosen… and a survivor." It certainly sounds like Sigma is once again the mastermind behind the sudden Maverick outbreaks, possibly even the leader of RMO's 'Ultimate Reploid Association', the opposing force. Let's try to act surprised. Cue X1's second stage select music. Sigma: "MWHAHAAH! You cannot stop me!" Megaman: "um... excuse me, sir... who are you?" Anyway! Sigma is back...! 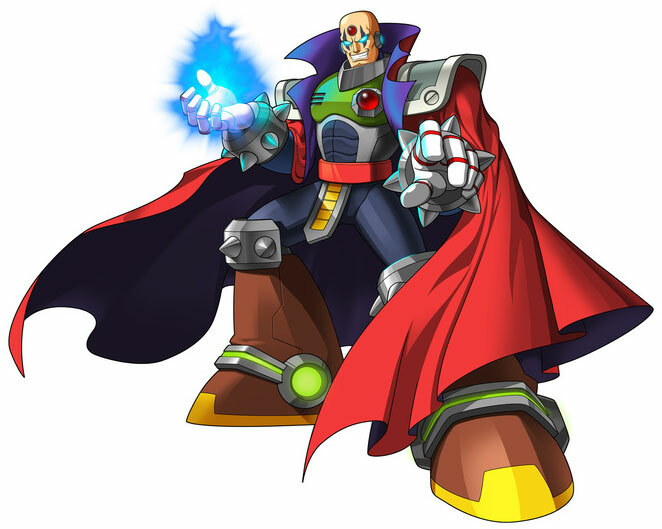 But if Sigma isn't what you think, then who is behind of everything? awww Sigma, you spoiled the celebrations now! Where's Lumine?! I want Lumine!! I bet that there's going to be some crazy plot-twist and he's going to be revealed to be just another reploid pretending to be Sigma or something dumb like that. So.... Sigma. Sigma, Sigma, Sigma. Why am I not surprised? "BWAHAHA! KID! I'LLSHOWYOUWHATATERRORISALLABOUT! JUST DIE! ZERO! ZELLLLOOOOO!!!" Sorry, couldn't resist. I had to do it, I just HAD to. Well, it wouldn't be Rockman X without good ole Sigma.